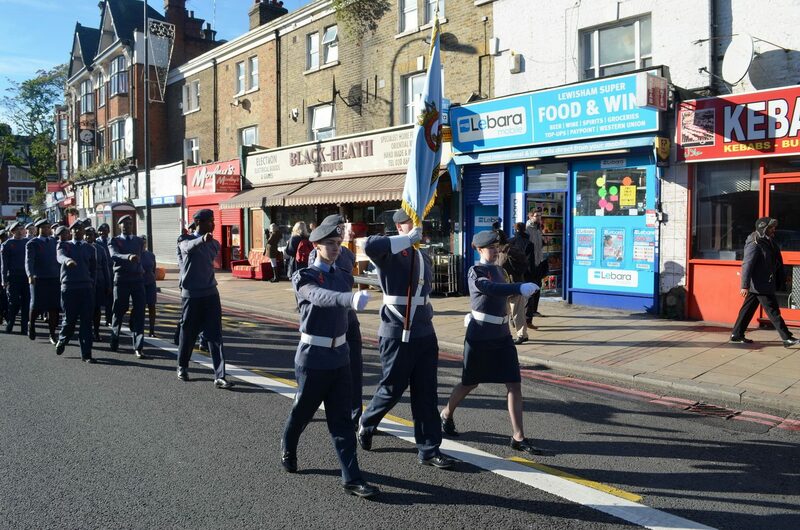 We are proud of our link to the Royal Air Force, and we set our standards high so that we donâ€™t let our parent service down. 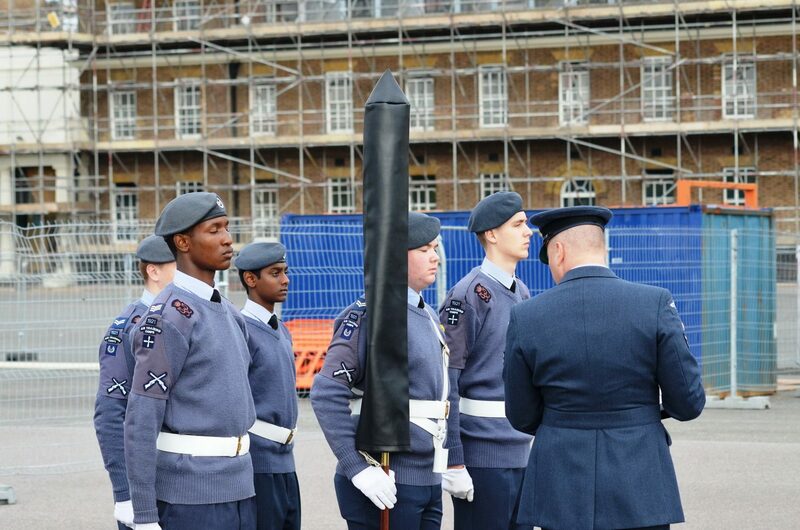 Right from the start of your recruit training, you do â€œdrillâ€. It seems tough to begin with, but the purpose of drill at the beginning is to train cadets to work together, and to follow orders. 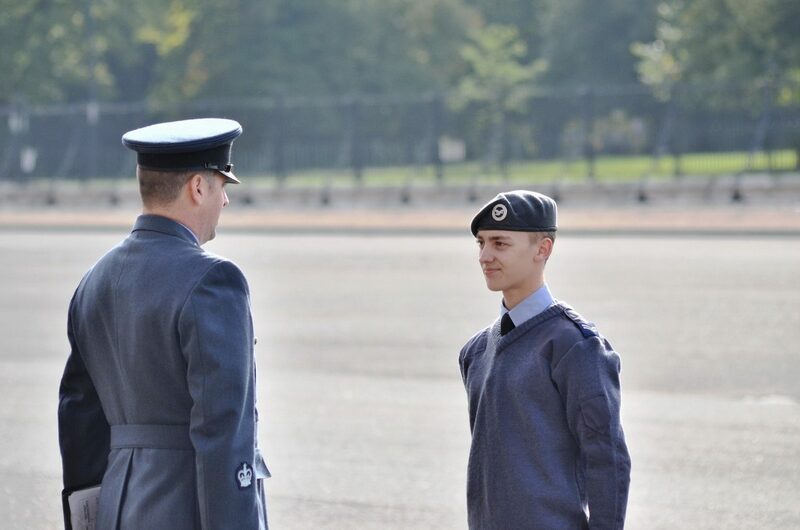 These skills are crucial to developing as an Air Cadet â€“ and indeed, in the rest of your life â€“ because we will put you in challenging situations that require you to follow commands. As you get better, the standard of drill becomes higher, and your opportunity to participate in major ceremonial events increases. 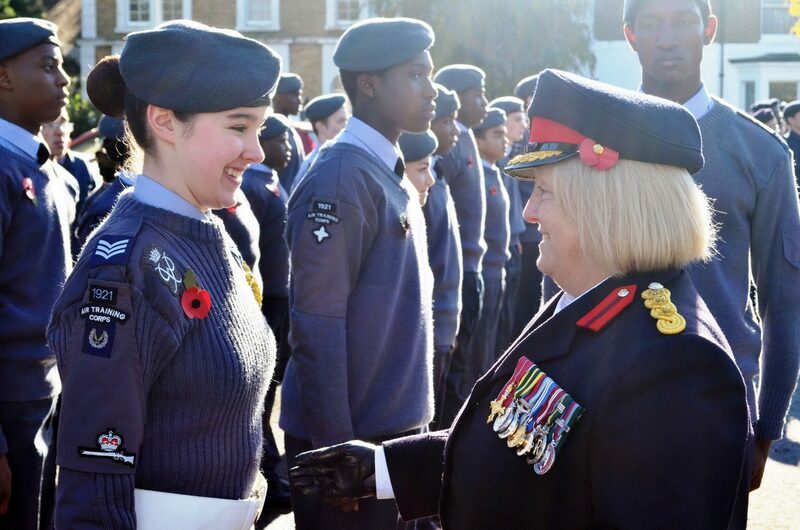 Whether it is representing the Squadron on competitions, parading as part of a large Lewisham Remembrance Sunday, or taking to the national stage on Whitehall or big London parades, the â€œlight blueâ€ role is a source of massive pride to the cadets who take part in it. Marching together, on a world famous parade event, is something youâ€™ll remember for the rest of your life. In the Armed Forces, the parade and ceremonial roles are always accompanied by military bands. 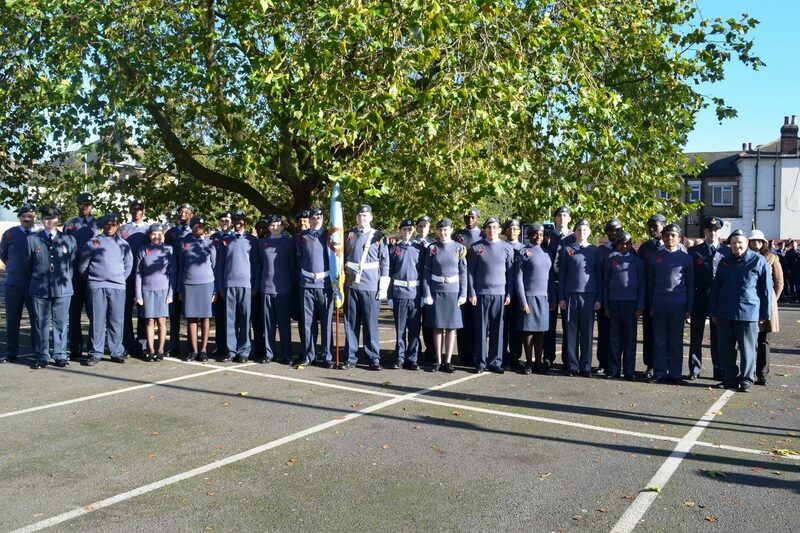 1921 Squadron formed a band in 2011, and we now have a small Corps of Drums. 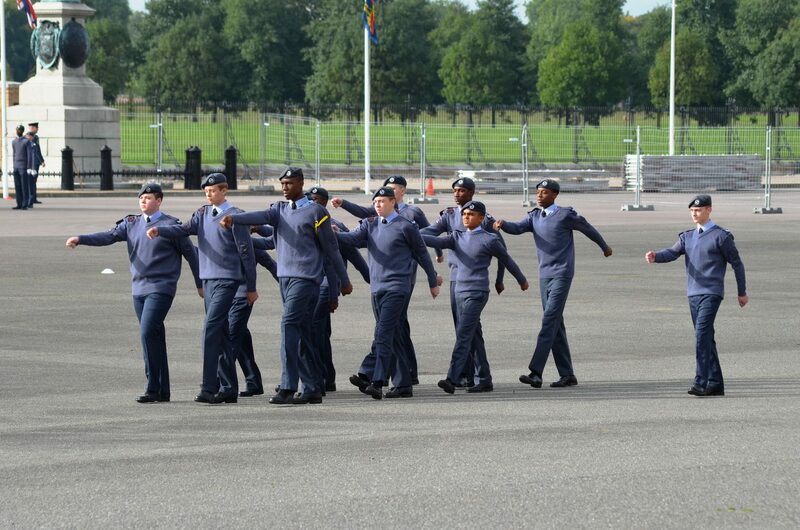 Weâ€™re always looking for new opportunities to get talented cadets involved â€“ but if youâ€™ve never tried it, and want to have a go, weâ€™ll teach you all we can!